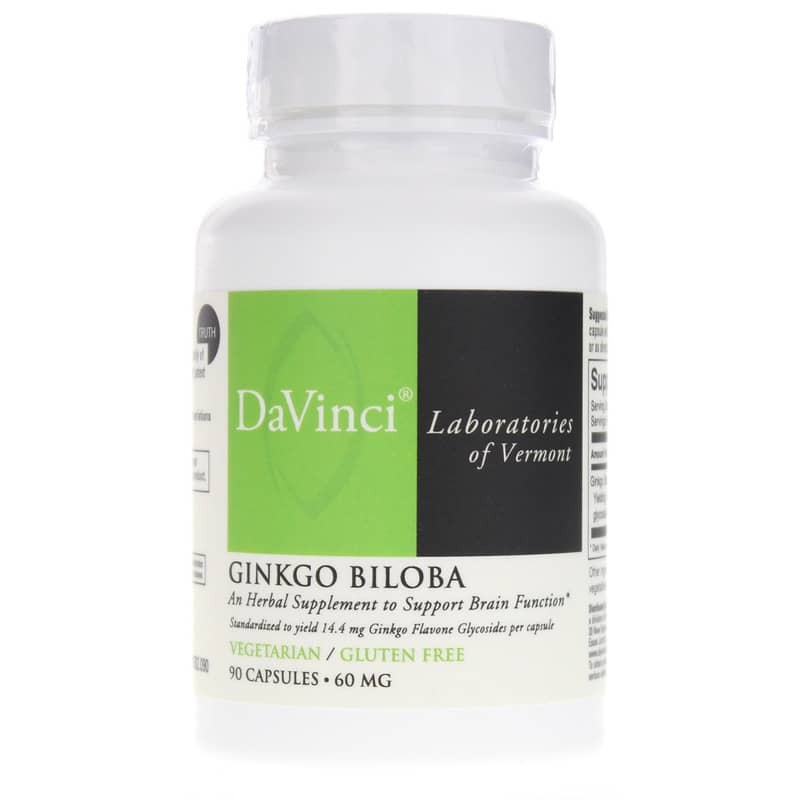 Ginkgo Biloba from DaVinci Laboratories is a natural herbal supplement to support circulatory and brain health. 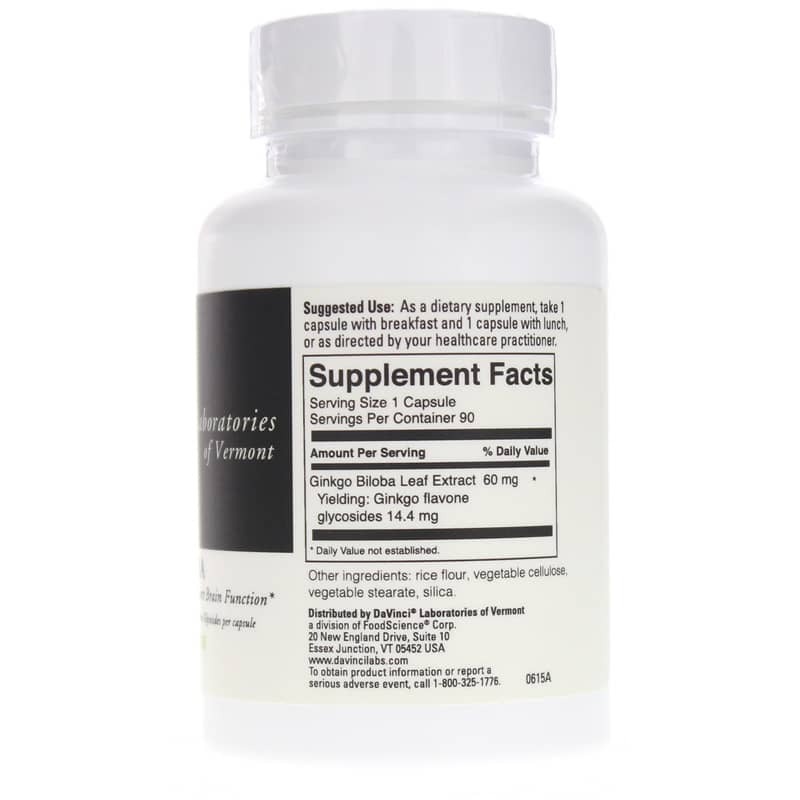 Ginkgo biloba contains an active compound, ginkgo flavone glycosides, that acts as a free radical scavenger to support cell membranes in the brain and other tissues. One of the oldest living tree species in the world, ginkgo biloba is recommended for those who need additional support with neurological, respiratory, vascular, sexual, cardiovascular and memory issues. 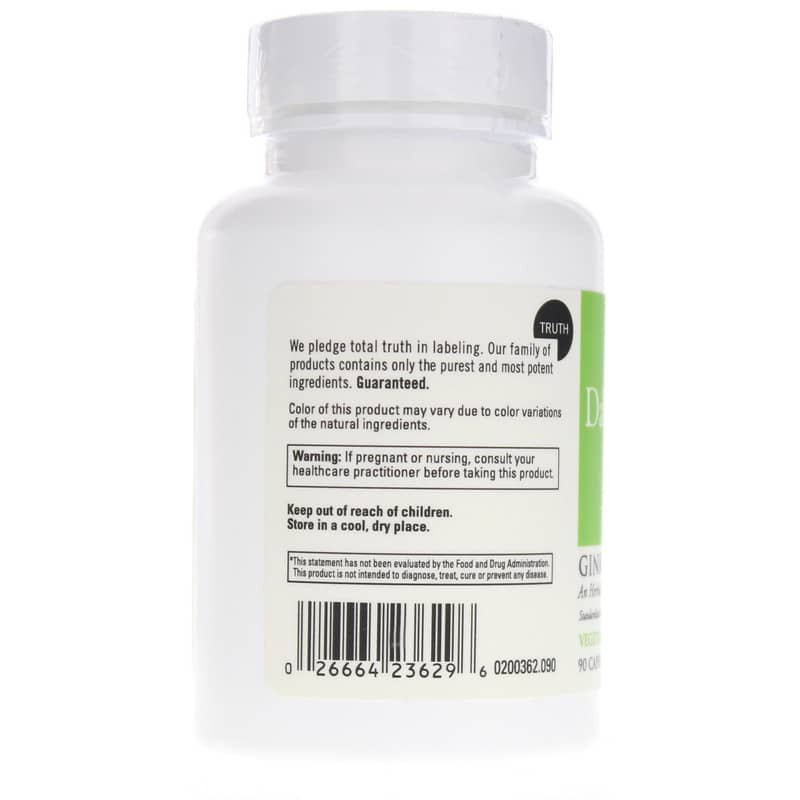 Ginkgo Biloba from DaVinci Laboratories is standardized to yield 24%, or 14.4 mg of ginkgo flavone glycosides per capsule. Adults: As a dietary supplement, take 1 capsule with breakfast and 1 capsule with lunch or as recommended by a healthcare professional. If you are pregnant or nursing, please consult your healthcare professional before using this product. Keep out of the reach of children. This product contains lead, a chemical known to the State of California to cause birth defects and other reproductive harm.